Dublin, OH, Aug-01-2017 — /EuropaWire/ — LSP Technologies (LSPT) is now filling its schedule for laser peening application development in Europe. This landmark opportunity coincides with the impending delivery of LSPT’s Procudo® 200 Laser Peening System to the ZAL Center of Applied Aeronautical Research (ZAL Zentrum für Angewandte Luftfahrtforschung) in Hamburg, Germany. 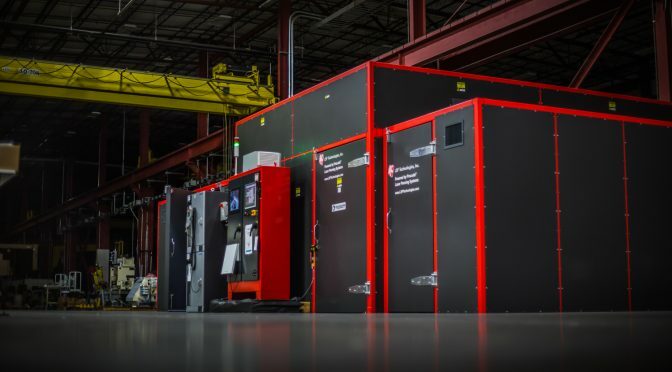 Beginning in 2018, LSPT is making the Procudo® System available to European manufacturers for laser peening research and application development. LSP Technologies’ newest laser peening facility will reside in the heart of the Hamburg Aviation Cluster at the ZAL Center of Applied Aeronautical Research. The ZAL TechCenter is one of the largest and most advanced aeronautical research facilities in the world, offering an innovative research space for collaborative development of emerging technologies. Companies looking to improve the fatigue strength and performance capabilities of their parts should contact LSP Technologies regarding access to the Hamburg laser peening facility. Highly trained technicians will work alongside OEM researchers to develop custom applications addressing specific material performance issues.